All too often tenants complain that they have had problems with their landlords or their letting agent. You can avoid most difficult situations during your tenancy if you use a little common sense and have the right information at your fingertips. With more than twenty years experience in all areas of property lettings and management, Patricia Barber is well used to dealing with the whole spectrum of problems faced by tenants – from unscrupulous landlords to letting agents who just won’t organise that important repair. 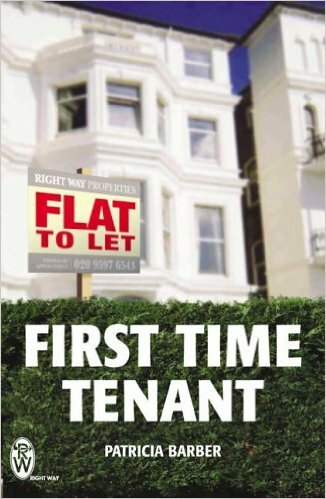 From finding your property and dealing with Lettings Agents, to damage control and how to minimise deductions from your security deposit, First Time Tenant is packed with useful tips and inside information that will help you get the most out of your tenancy. Available: £2.99 Kindle edition at Amazon UK and other regional Amazons.